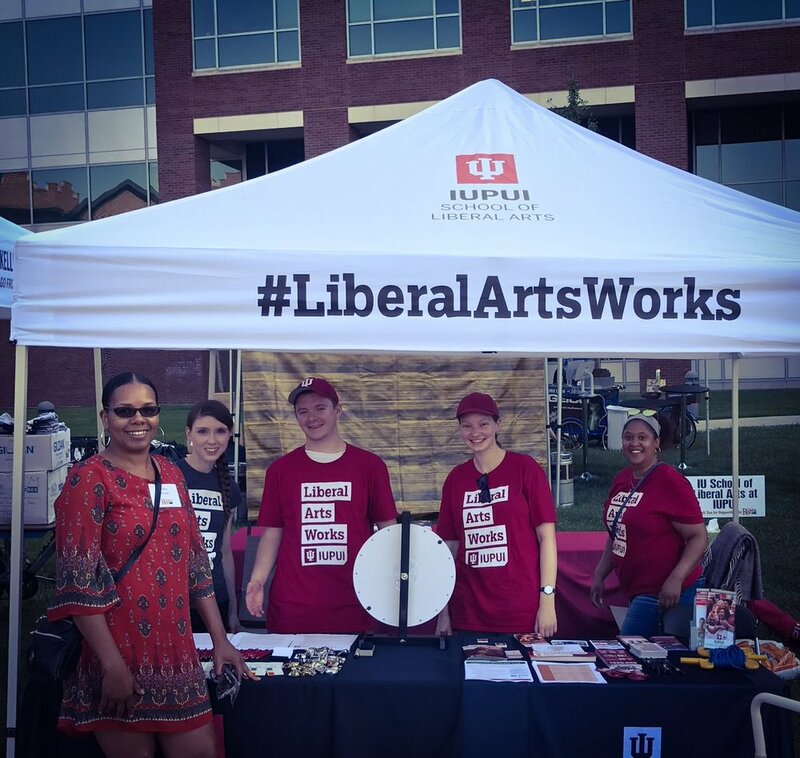 The words were simple, but message was powerful. 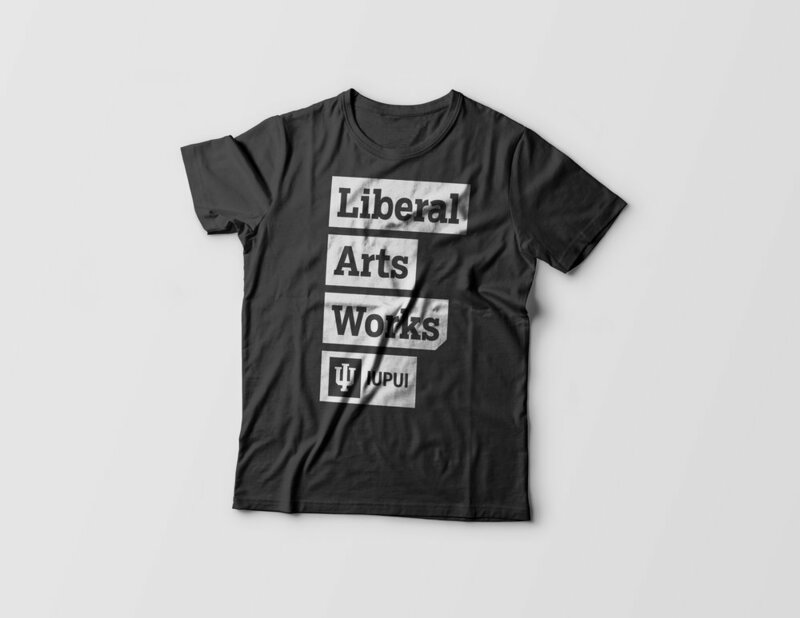 The design needed to be distinguishable enough to stand out amongst a crowd but still stay within Indiana University brand standards. 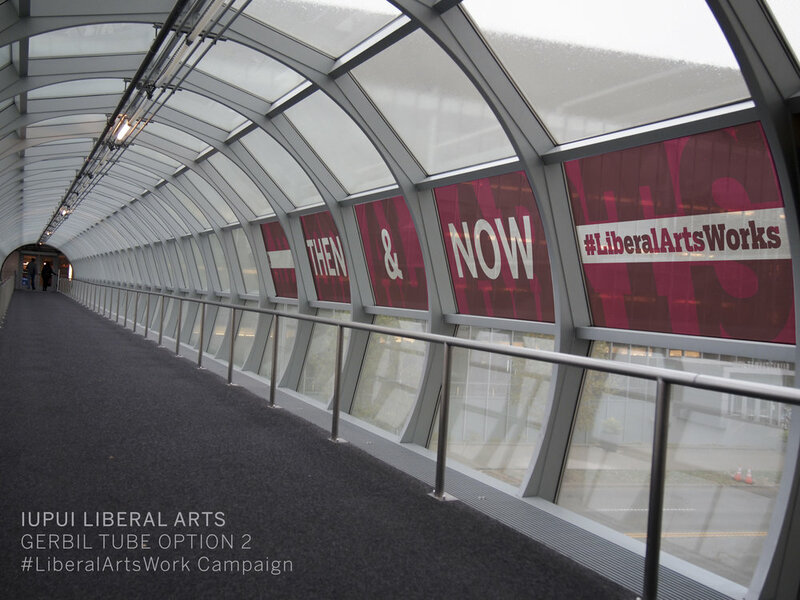 It also needed to be something that had flexibility, that could be applied across multiple platforms and materials and still retain its identity through time. 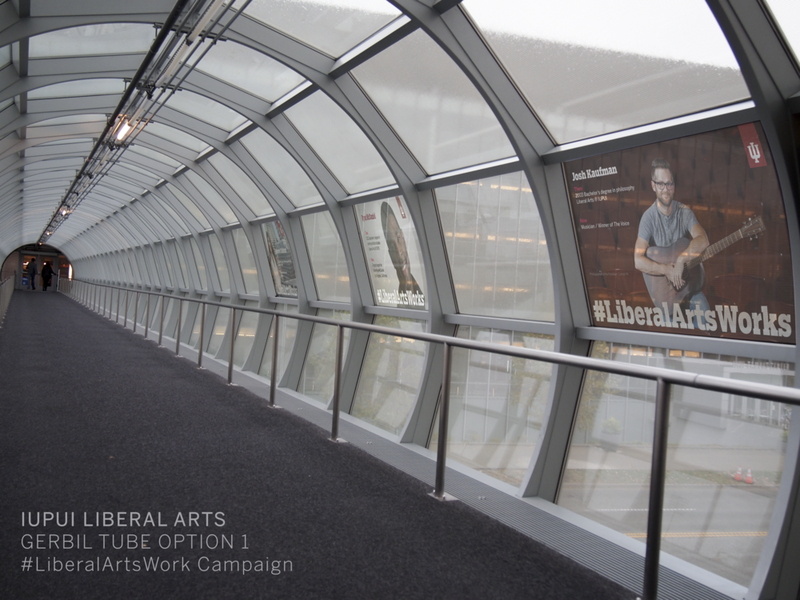 With that all in mind, the iteration process was very incitefull. 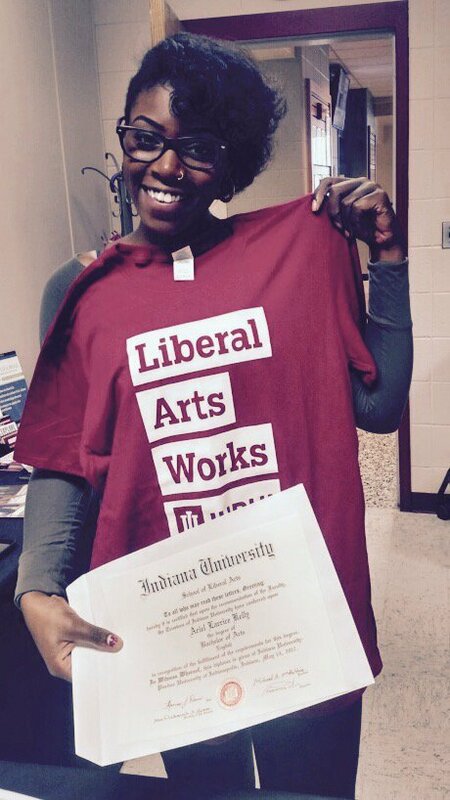 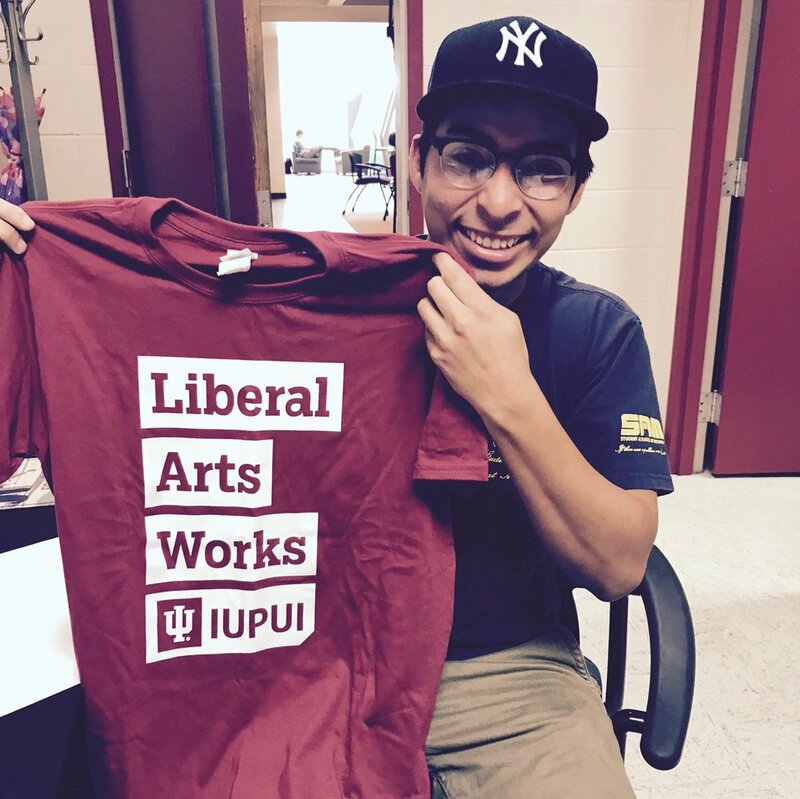 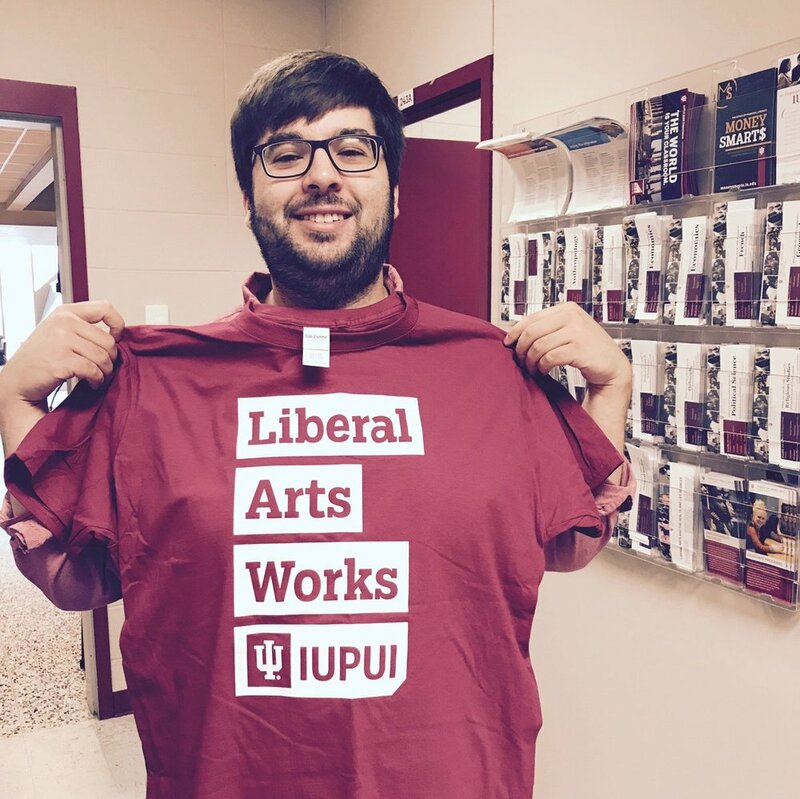 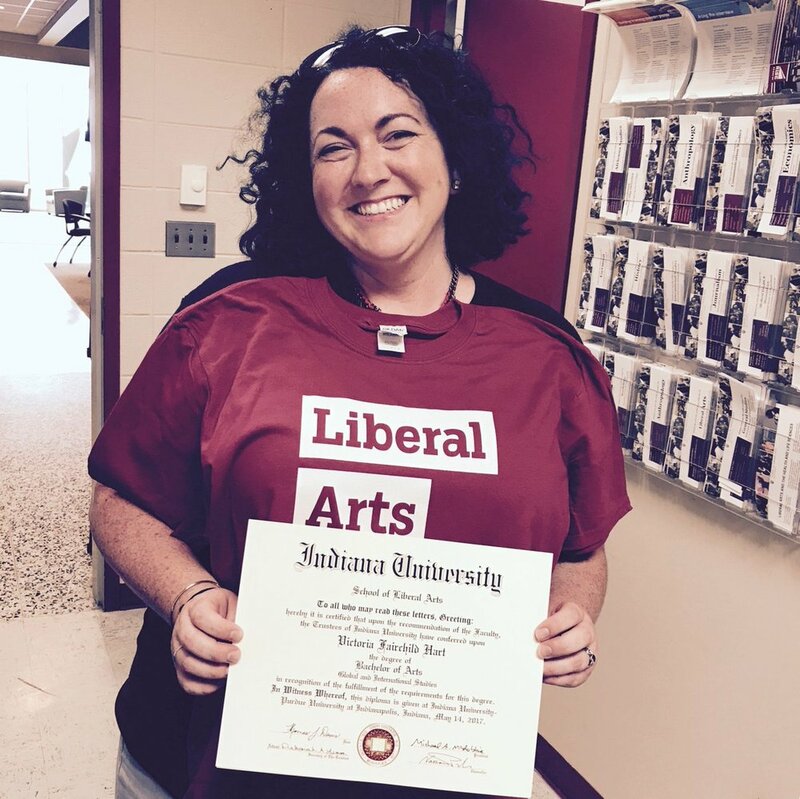 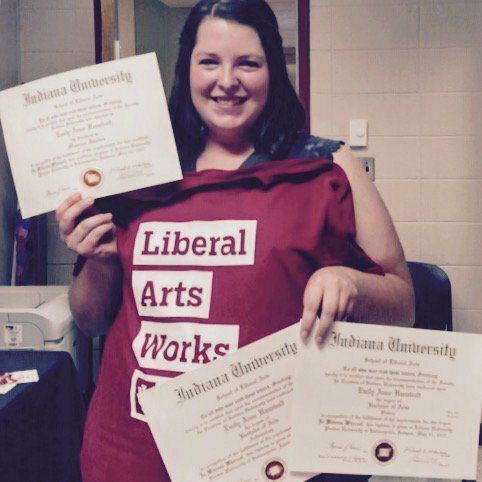 Students receive a 'Liberal Arts Works' t-shirt upon degree pick up to show the school congratulations on their achievements at IUPUI.